The Germans think of everything!! No chance of a tropical storm here. 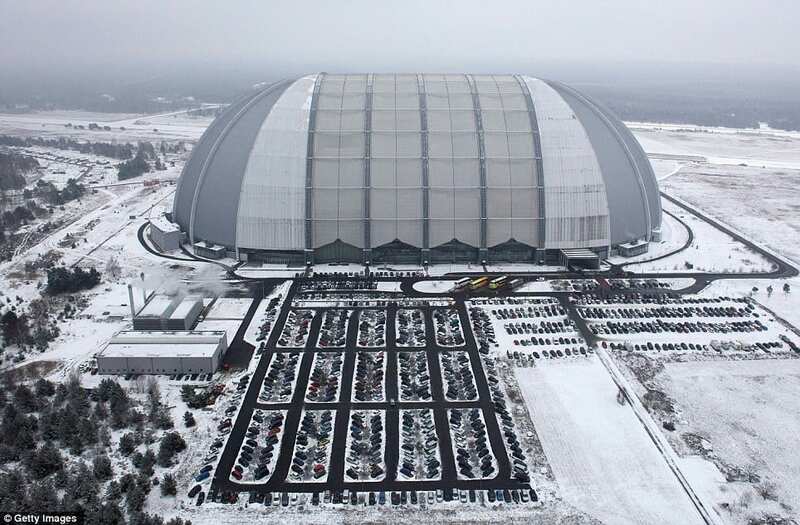 Incredible pictures show luxury resort complete with sandy beaches, palm trees and clear blue water inside enormous German hangar surrounded by snow. With sandy beaches, clear blue water and palm trees, this looks like a spectacular and luxurious sun-kissed resort. 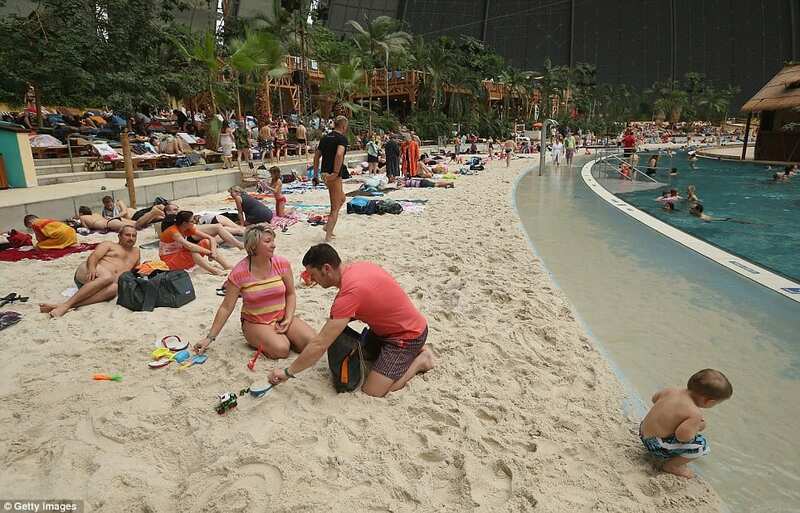 Holidaymakers can be seen relaxing in swimming shorts and bikinis. Even the occasional flamingo can be spotted. 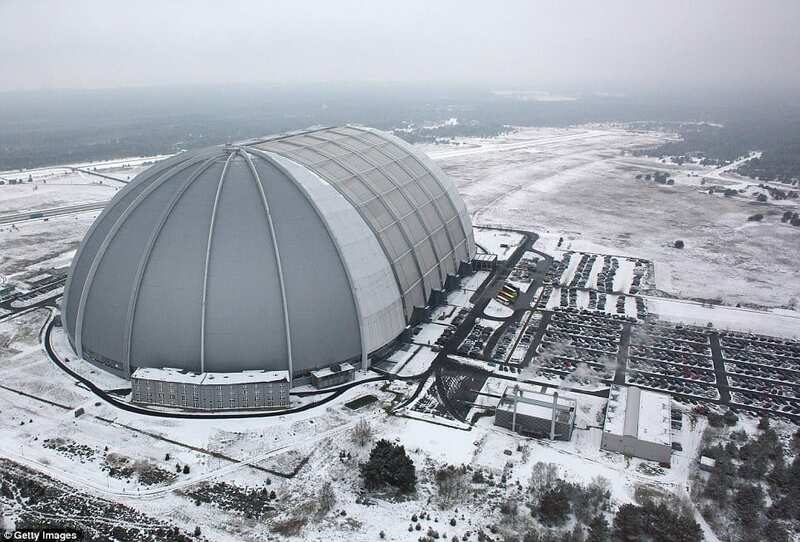 The ‘resort’ is actually located on the site of a former Soviet military air base in Krausnick, Germany, inside a hangar built originally to house airships designed to haul long-distance cargo. And despite it looking like temperatures are through the roof – outside the giant hanger it is actually snowing. 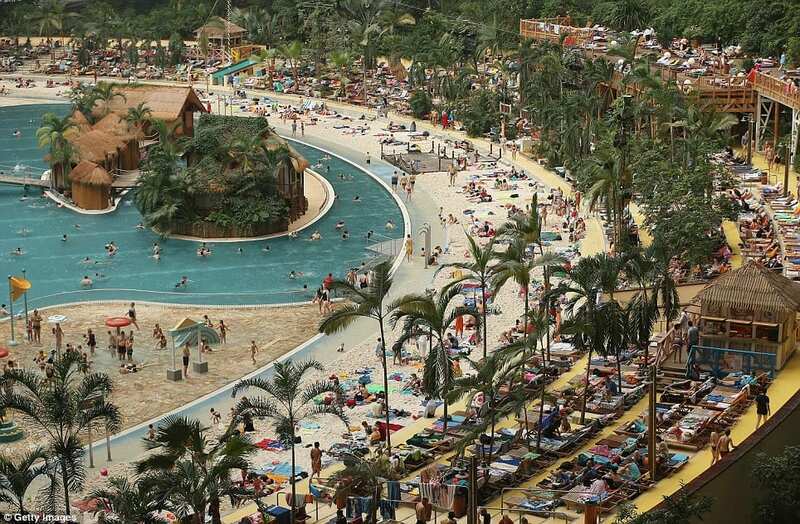 As these incredible pictures show, the resort contains a beach, a lagoon, and water slide and adventure park. 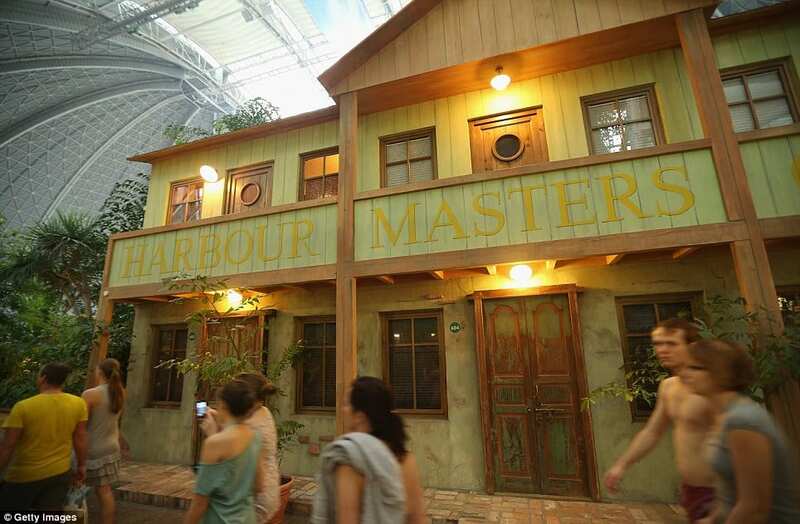 Guests can enjoy numerous restaurants, evening shows and can also relax in a sauna. A range of options are available for stays, from the basic to luxury. 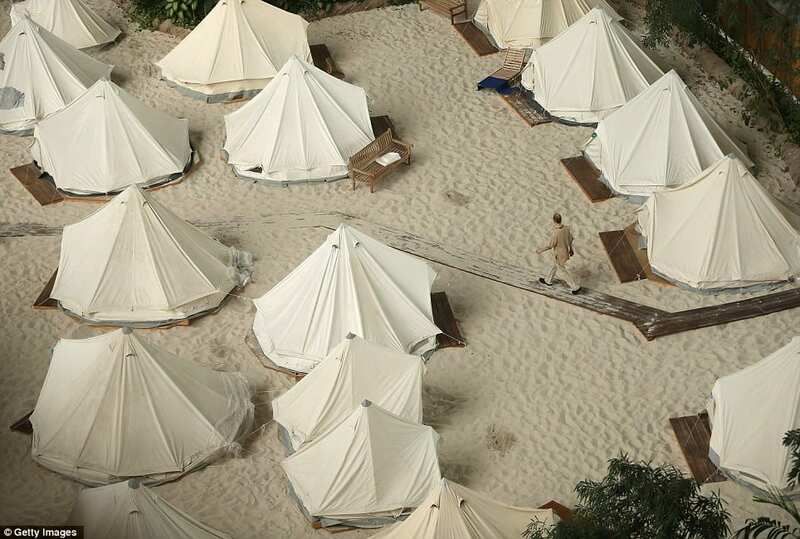 Accommodation includes quaint looking cottages and even beach tents. As well as flamingos, free-flying canaries also fly around the site. 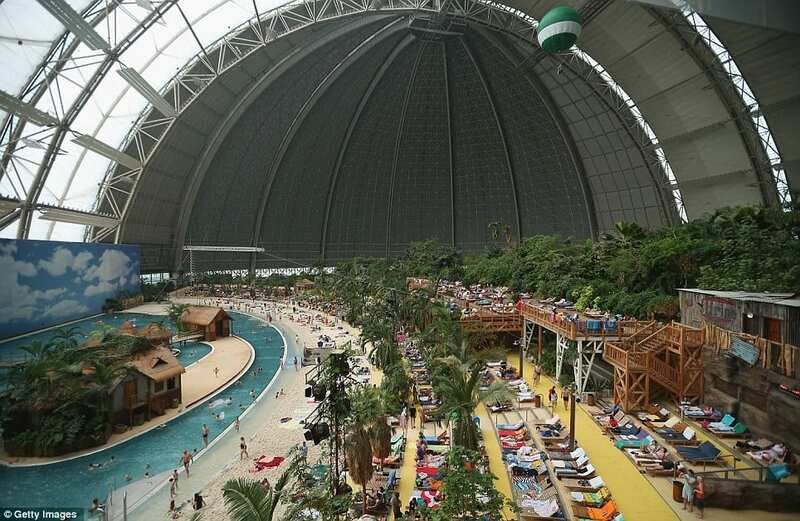 It is believed that the hall which Tropical Islands is located in is the biggest free-standing hall in the world. As well as the thousands of visitors each day, approximately 500 people work at the site. 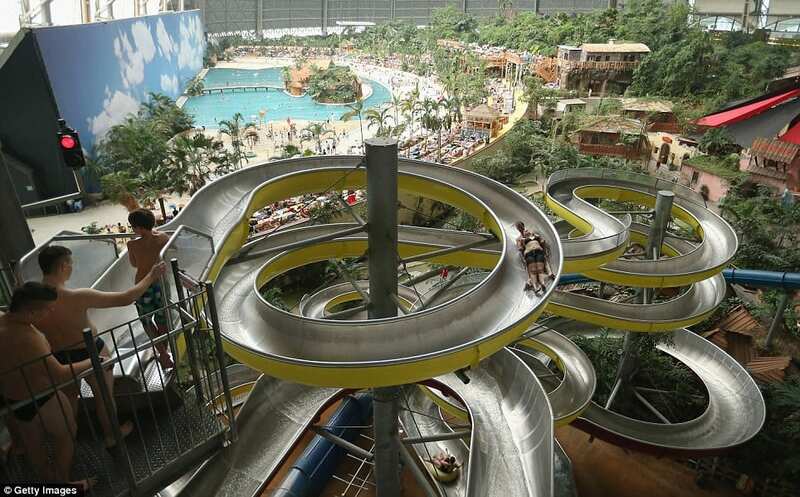 Tropical Islands opened to members of the public in 2004. Incredibly, the hangar, which is 360 metres long, 210 metres wide and 107 metres high, is tall enough to enclose the Statue of Liberty.